All the excitement of auto racing with all the satisfaction of working as part of an effective team! Select your Crew Chief and Driver then get ready to jump into the various roles needed to build, decorate, present and finally race your kart. 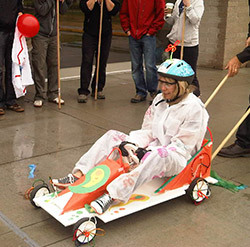 Teams start out with one tool each and a limited number of tokens which can be used to buy materials for kart construction and decoration. No plans or written instructions adds to the level of challenge as the Crew Chief quickly assigns roles and gets the team to work. As the assembly crew figures out how the wheels and steering column fits onto the kart, the marketing team is busy coming up with a team name and racing logo. The procurement team is also in action, going about acquiring additional tools and materials necessary to properly assemble and decorate the kart as well as the driver’s suit. Here there is an opportunity to incorporate company marketing and messaging into the design. Approximately 45 minutes into the event, each Crew Chief give a quick update on their team’s progress along with any “advice” they have for their competitors. 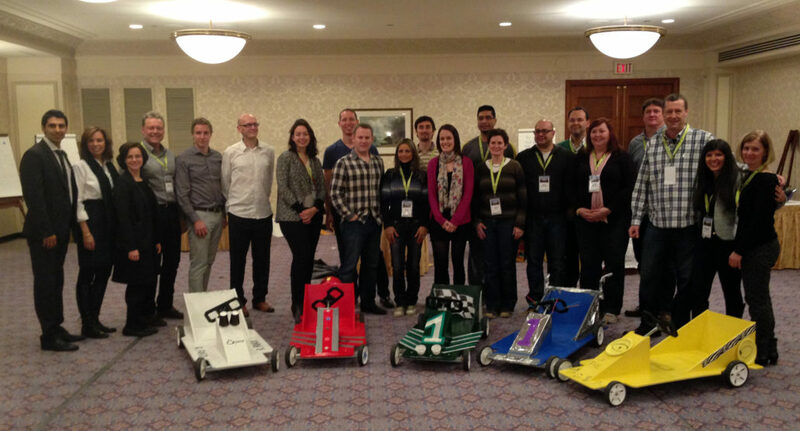 At the 1hour mark, construction is halted and teams line their karts up on the starting grid. Each team’s marketing group comes forward to give a presentation of three minutes or less on why their kart will be victorious. Presentations will be scored by a panel of judges who are scoring for each team will factor into the final placing. Now the final and most anticipated segment of the event begins – the time trial. Here the teams draw for the racing position with each kart racing against the clock by navigating a closed course and powered by two teammates pushing from the rear. Teams can even choose their own racing themed song to play while the whisk around the track! If a kart goes off the track or knocks an orange pylon over then a time penalty is added to the final time. 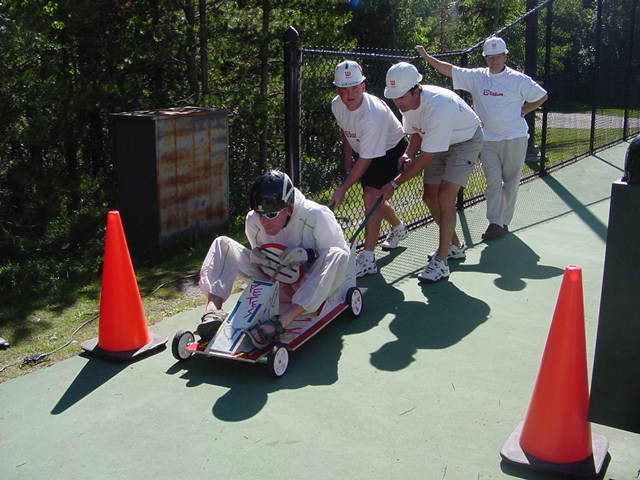 The core of the time trial is combined with the presentation scores (consistency is the key to success) to arrive at the deciding tally and the Soap Box Grand Prix Champion. “The group had a fantastic time building and racing their karts. Everyone got involved and enjoyed themselves.” Brian A. 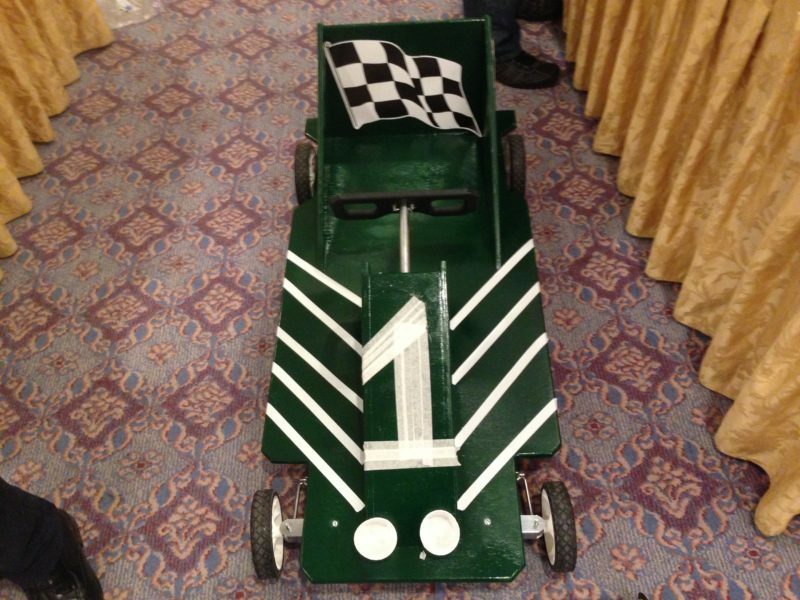 At the conclusion of the event, participants are welcome to take their karts home with them or arrangements can be made to donate to a local club or charity. This event is suitable for groups of 20 – 250 and can be facilitated indoors or out weather permitting.